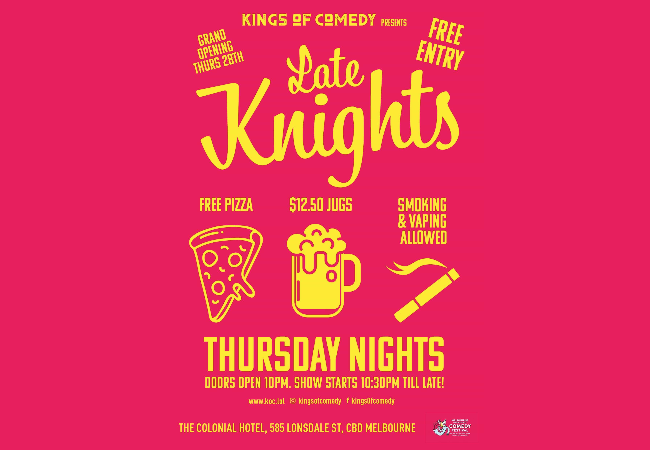 Kings Of Comedy presents Late Knights! Thursday Nights! Doors open 10pm, show starts 10:30pm till late!